Okay, so I admit it. We LOVE Home School In The Woods. I have a local homeschool friend who kept talking about this history program her family loved called "Time Travelers." She described it as a work of art, so I HAD to check it out. When I did, I was an instant fan. 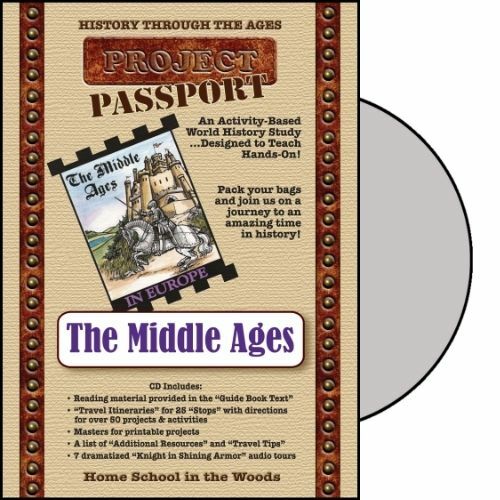 So imagine my sheer delight when I discovered Home School In The Woods has a product called Project Passport that is like my old favorite, but deals with world history! Talk about excited! 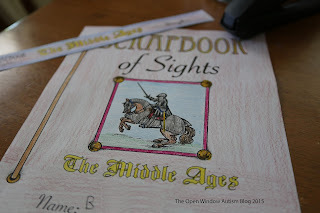 THEN I found out I was going to be able to bring you this review of Project Passport World History Study: The Middle Ages! Oh yeah, this has been a fun and exciting review period! For this review, we were graciously given a digital download copy of Project Passport World History Study: The Middle Ages. This is a hands on world history study that is a fun way to learn about history. You can choose to purchase a CD-Rom OR the digital copy like I received. You receive a plentiful bounty of PDFs that include all of the projects, detailed instructions, Teacher Keys, photos of completed projects, and text based lessons that are fun to read. Lessons are also equipped with a suggested resource list for additional learning opportunities. 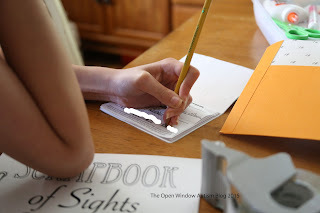 Your child will create their own Scrapbook of Sights, Lap book, Timeline, Newspaper, and more. Divided into 25 stops and an itinerary guide, Home School In The Woods Project Passport sends your students on a fun and educational trip through history! Mr. B has taken an interest in all this Medieval, so the Middle Ages study was a perfect fit for his interest right now. As soon as my download notification arrived, I began to download the PDF folder and gather some supplies. I will say, these sets are kind of heavy on the supplies front, but it's usually things you already have on hand. For example, you'll need some 3 pronged folders (back to school sales have these for less than .25 each at most places) regular printer paper, white card stock, and colored card stock. You'll need colored pencils/markers (I suggest colored pencils as that's our preference) a 3" binder, and I also recommend page dividers for easy organization. Double sided tape, glue, packing tape or clear contact paper, scissors, and brads will also come in handy. Each program has a supplies list, and each "stop" on your travels also lists what materials you will need. So even though it may sound a little overwhelming, it's not. Believe me, if I can handle it then you know it's not bad! This is a screen snip of the Itinerary. Each stop has it's own Itinerary page full of directions and a plan of what you are going to be learning and doing for that stop. The activities for each stop are so much fun, that I actually used one for his birthday party! We made stick puppets, learned about social classes, and put on a play! I know some will print everything off at one time, arrange it in their binder, and work from there. I can't do that. I get too overwhelmed, confused, and I just can't do that. So for us, I printed off 5 stops at a time. From there I divided each stop with all of the printouts that it needs, the itinerary pages, any applicable teacher keys, lesson texts, etc. with divider pages. This way, we could easily work through each stop and add to our "Scrapbook of Sights" as we went. Your child will also make a travel case, or Luggage Folder. My son needed a bit of help with this. I printed off the template onto sturdy cardstock. Then we traced it on, and cut it out. I have obviously removed his name and any identifying information. For us, I wanted a little more OOMPH for our passport and luggage tag, so I "laminated" them both with packing tape to make them hold up a bit better. 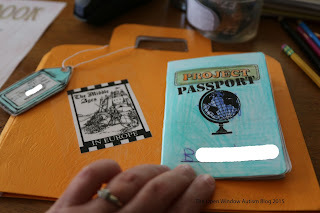 You can reuse the same passport, luggage, and luggage tag throughout your Project Passport adventures, so I wanted them to hold up! 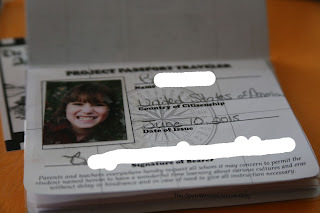 I love how you can include a real photo on the passport! I just used a wallet sized photo I already had, cut it down to size, and taped it on. the rest of the pages in the passport are for "stamps." If I had sticker paper, I'd print those on sticker paper to stick to the pages! Here is another example of a Travel Itinerary. As you can see it tells you exactly what you need, what you will print, etc. I place this in the front of each divided section in our binder for easy access. This is a screen snip of the Timeline Figures. We cut these out and color them in. I print on white cardstock, and use cardstock for the time line as well. You can download free samples of lessons, which is were I took these screen snips from so I didn't risk any sort of copyright issues. When you print off your timeline and the figures, you will print them all at one time so you will have them on hand for each stop. You could work ahead and separate these between the stops if you want, but I just place them in a designated area in the binder. The Newspaper is a LOT of fun. There are specific directions on how to print off these pages so that you can use it like a real newspaper. This is where your child can apply what they have learned. I like to read the text lessons to Mr. B, then we work the appropriate newspaper page. He has a LOT of fun with these! This is a small example of the lesson text. The lessons are long enough to cover the point well, but short enough that you don't get bored. Each lesson builds on the one before it. Overall, I was a huge fan of Home School In The Woods before this review, and I'm an even bigger fan now! I love that everything is planned out in a logical and easy to use manner. I can take the time in one evening to print out the plans for several days-Reducing the time needed to put things together. I love how they included photos of completed projects so that I can look to those, as well, to cure any sort of confusion I may have. The additional resource lists are great in the event we choose to do more research into a specific topic. The lessons run in an order that makes sense, and they are easily applied using the Newspaper activity. I love that Mr. B is truly learning, not just memorizing facts to try and pass a test. He's learning because he WANTS to do the activities! 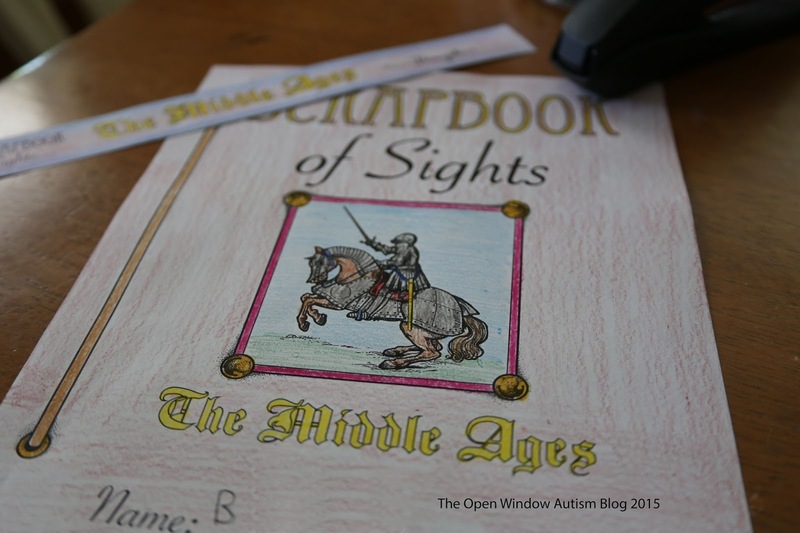 Does Home School In The Woods Project Passport World History Study: The Middle Ages Pass My 4 Ingredient Test? The lessons build upon each other, so I do not suggest skipping stops. The program can be completed in just a couple months, or you can be like us and stretch it out longer. I like to use this as a fantastic hands on addition to other readings we are doing. I like to do a stop no more than every other day, so that we can fully explore the topic under each stop to the fullest. You can elaborate on it as much as you want, like I did laminating the passport and luggage tag, or using white cardstock instead of colored when prompted. There are no hidden fees with the program itself. It does NOT include the supplies, so you will need to make sure you have the needed supplies. But again, it's basic arts and crafts supplies that most of us will have already. Ink can be an issue with a lot of printing, but I purchased an inexpensive laser jet printer that I can get toner for, for around $14.00, and it prints 2500 sheets so that's not been a problem for us at all. You can use this with multiple age/grade ranges, easily. It's long lasting if you extend the lessons the way I do, or it can be relatively short lived if you do 1 stop or more each day. It is probably a perfect program for kids with ADHD and autism. You may have to help special learners, especially those who lack fine motor skills, but it is a fun and entertaining, yet calming activity. I found I really enjoyed doing the stops with Mr. B when he was having what we call our autism days, or bad ADHD days. He seemed to calm down with the hands on tasks. The activities can take a little while to complete, but you can always take breaks. The lap book and Scrapbook of Sights really are works of art that are a lot of fun to put together. We can't wait to start working on the next one! You can choose the area you want. For Project Passport, they offer The Middle Ages, Ancient Egypt, and Renaissance and Reformation. So if you are, or have been, studying these topics then this will be a great fit for you. If you haven't studied these yet, the Project Passport would be a fantastic starting point! 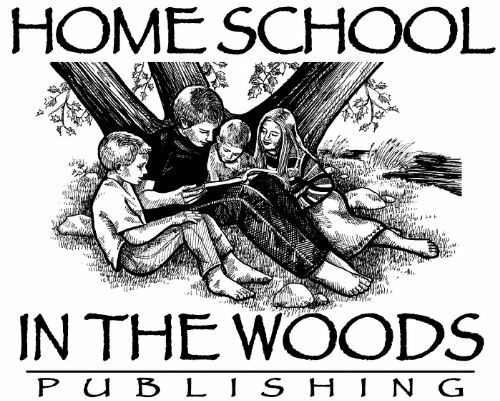 Click below to access the Schoolhouse Review Crew where you will find more reviews of Home School In The Woods Project Passport!